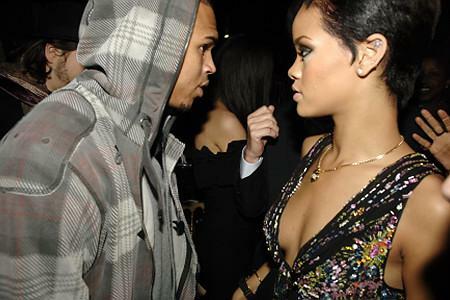 Chris Brown may be back to create "Disturbia" again in Rihanna's life! Chris Brown may be back to create “Disturbia” again in Rihanna’s life! It’s good to know that the superhuman, never stopping Rihanna can be just as much of a mug as all of us when it comes to love. Despite the horrific beating that he gave her in 2009 which landed him with a restraining order and ruining his career, it seems like Rhianna may be ready to forgive Chris Brown. Sources say that she wants to change the restraining order to “do not annoy” which means that as long as he does not try and touch or hound her then he can make contact. Rihanna’s lawyer, Donald Etra is currently trying to change the order so that the pair can meet up! This change of heart for Rihanna may have come about due to the fact that reportedly Chris Brown will be able to attend this weekend’s Grammy Awards ceremony. The court order which currently stops Chris from coming within 50 yards of the 22 year old Diva, states that if both singers have to attend a music event then there is an exception. We would have thought that the violent R&B singer’s appearance on the red carpet would equal thrown tomatoes and abuse, however as celebrity land has different rules than for the rest of us mere human beings, he appears to be making a comeback! After two years of being out of the limelight and grasping his way back from Hollywood exile, Chris has actually been nominated for ‘Best Contemporary R&B Album’ and “Best R&B Performance By A Duo’. This is probably the biggest comeback of the year as within 24 hours of the 2009 incident he had lost fans, a hot girlfriend and all respect. Wow it truly is amazing what hiring the most expensive and ruthless PR agent can do for you. Maybe they can make everyone believe that I slept with Johnny Depp! We think that it is unlikely that the relationship between Rihanna and Chris will rekindle, however things look much more hopeful for Rihanna in the Grammy’s tomorrow night as she is nominated and our favorite for winning ‘Record Of The Year’ and ‘Best Dance Recording’.